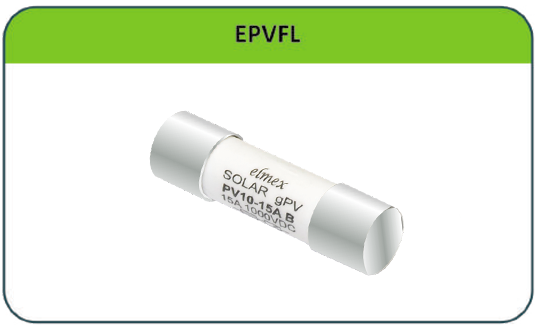 elmex PV Solar Straight Inline fuse connectors EMPV4FC, EMPV4FCM & EMPV4FCF are applicable for Photovoltaic string protection. The variants of these connectors over users with options of either using a male or female straight connector at one end & cable at the other end or using male/female straight connectors at both the ends for string protection with fuse. elmex straight inline fuse connectors have plug & socket design suitable for 2.5, 4.0, 6.0 mm2 size cables & are constructed using fame retardant engineering thermoplastic suitable for exposure to UV rays & for application in PV power generation system. They are suitable for use with gPV (Cylindrical) fuse of ø 10 X 38 mm.